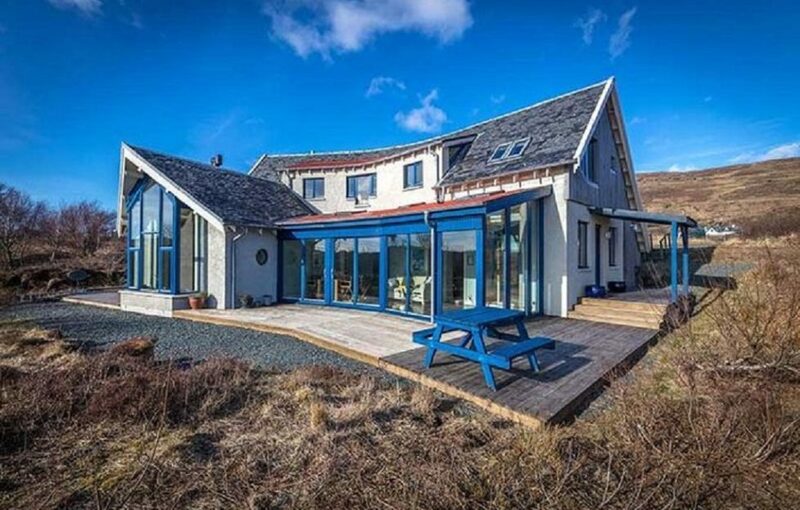 A secluded architect-designed house built to very high specifications in 2003, offering breath-taking views sea views to the Holy Island of Iona, Inch Kenneth, Ulva and Ben More, is now for sale. 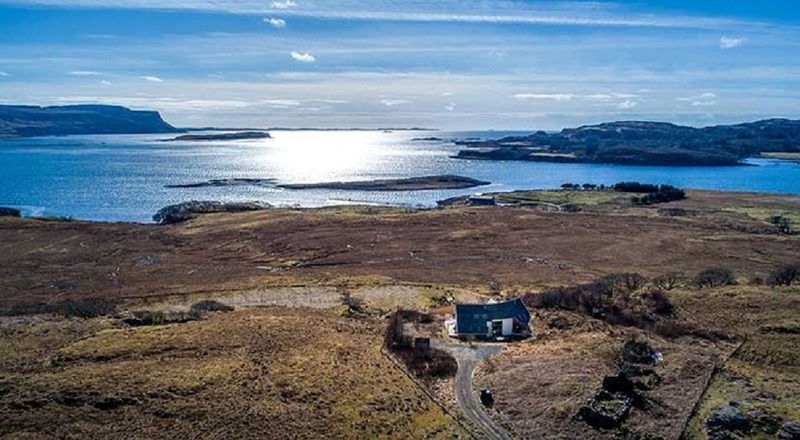 Presented for sale by Savills, Torr Buan House, in Ulva Ferry on the Isle of Mull, is a place of dramatic views and wonderful isolation. 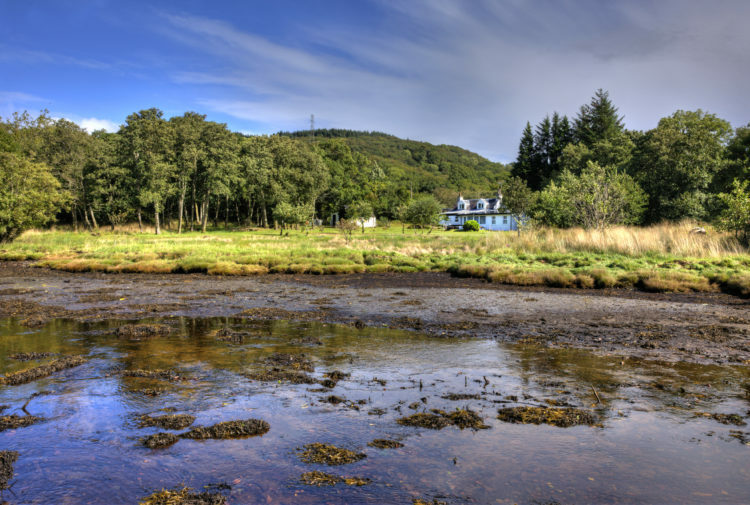 Designed in an arc shape with an expanse of glass dominating the west and south elevations, the house is set on the shores of the Ulva Sound and enjoys a breathtaking panoramic aspect. 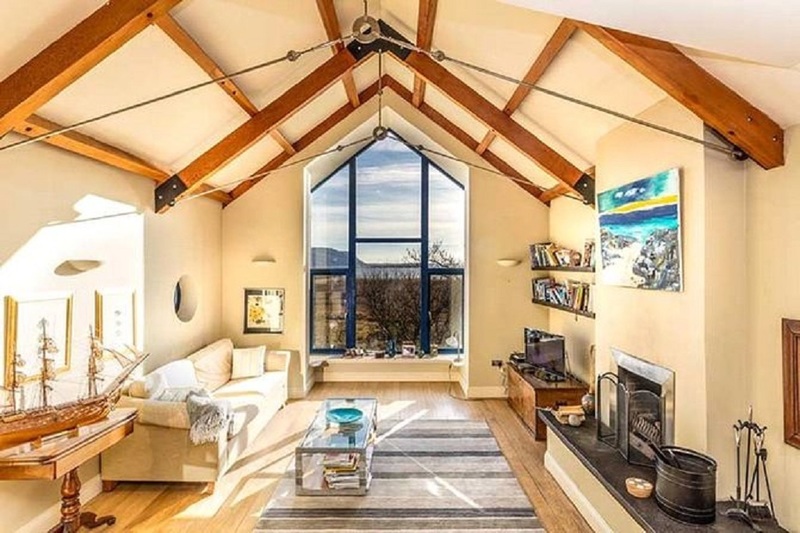 Highlights of the property’s interior include a stunning vaulted sitting room with exposed ceiling beams, an open fire and large full height windows. 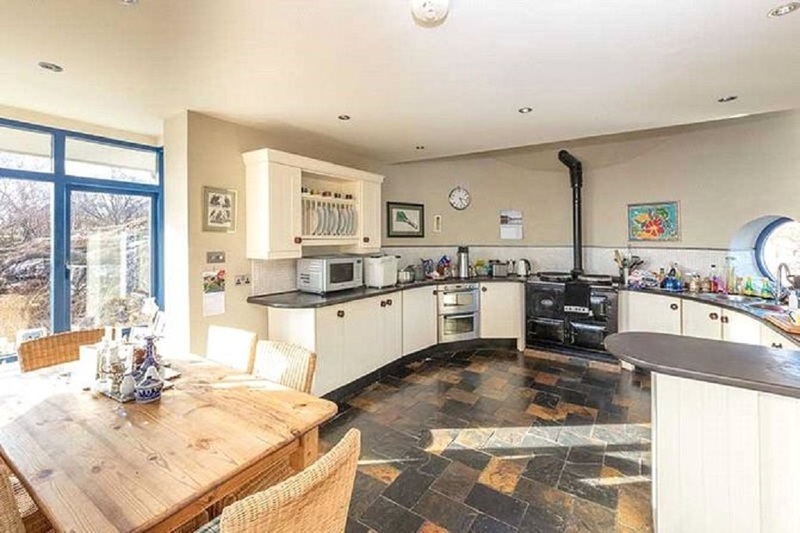 A door opens into the dining area and sun room while being open to the generous U=shaped fitted kitchen which has a black Aga, integrated appliances and a pantry. An office/study and lower bedroom suite (comprising bedroom, sitting room and en suite shower room) are located off the sun room which enjoys spectacular views. This bedroom suite can be privately accessed as a self contained unit, if desired. 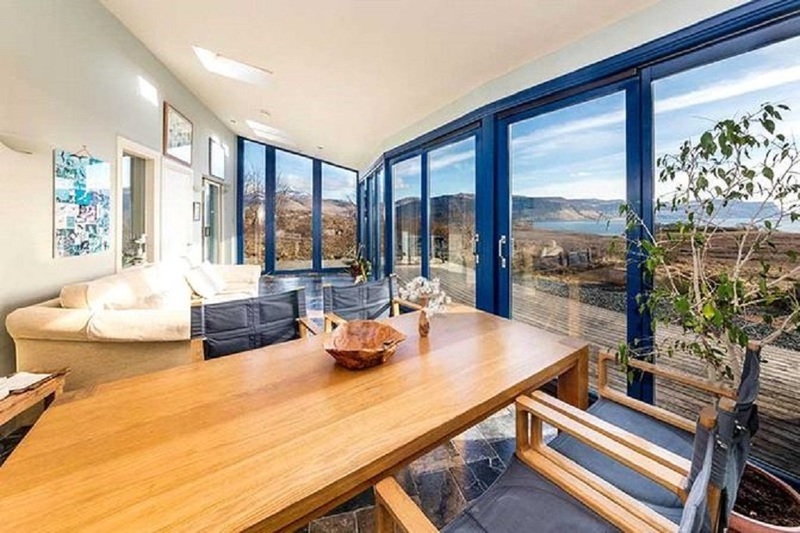 A galleried landing on the first floor leads to the master bedroom which again has superb views of Ulva, and an en suite bathroom. There are two further bedrooms and a shower room on this level. The house has a private track and 1.8 acres, along with some stone ruins which could potentially be developed subject to planning consent. 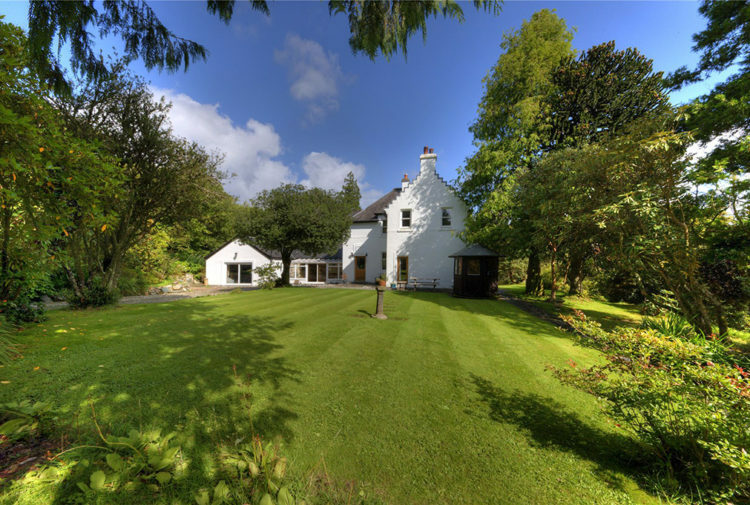 Jamie McNeill for Savills said: ‘This truly is a one-of-a-kind property in an incredible coastal location. ‘Secluded, surrounded by an amazing array of seabirds, wildlife and all the sailing opportunities offered by island living, the interior is light and airy, reflecting the seascape outside, but it also has a warm and welcoming feel for when the weather becomes more dramatic. 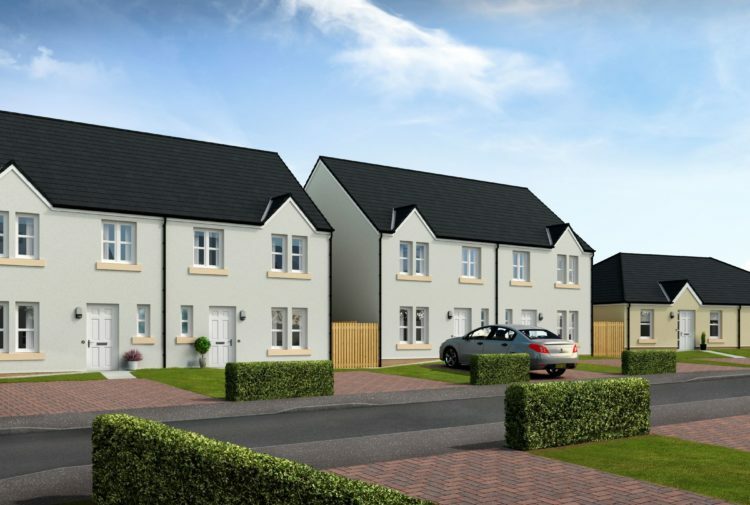 The agents will consider offers over £495,000.